This young "progressive" band, having two members of the quintet on violin and cello, were never going to be considered as a typical progressive rock. It is evident that they are in the same spectrum that bands like ART ZOYD and UNIVERS ZERO, and that they receive influences of KING CRIMSON and even MAGMA. Considering their influences, SOTOS could be called the enfant terrible of elements from jazz: "Zheul", "Rock In Opposition" (RIO), and Eastern European folk musics. These young musicians have been recognized as a band with boundless potential and infinite musical ideas. I have to think the best is yet to come. SOTOS' first self titled CD mixed the influences of GONG, MAGMA, KING CRIMSON and UNIVERS ZERO. They share with all these bands the same madness and emergency. For now, the music on "Platypus" reveals a maturation to SOTOS's sound. It features two long compositions, "Malstrøm" (divided into 7 parts) and "Wu" composed by guitarist Yan HAZERA. The second album is a complex chasm of explored possibilities. This way they can manage between the directness of '90s KING CRIMSON and the acoustic compositions of early UNIVERS ZERO and ART ZOYD. Amazing interplay between violin, cello, guitar, and percussion add the texture and richness of their sound. For fans of KING CRIMSON, MAGMA, PRESENT and UNIVERS ZERO. Sell your SOTOS items on eBay ! SOTOS was one of those under-the-radar avant-prog bands that followed in the footsteps of Univers Zero and Art Zoyd, released a couple albums and then disappeared from the scene. This all instrumental ensemble emerged from Bordeaux, France in 1996 and was composed of five musicians. Nicolas Cazaux on violin, flute & tambourine; Yan Hazera on guitar and djembe; Bruno Camiade on bass and djembe; Nadia Leclerc on violin and cello; Michael Hazera on drums and flute. Both Hazera brothers would later play together in their next band Zaar a decade later. All members attended the French National School of Music and required little time in finding a common thread to create their first eponymous album released on the French Gazul label. Just like many in the more obscure corners of the avant-prog world, SOTOS marries myriad musical disciplines and drives them together with angular rock riffs, chamber rock atmospheres, post-rock compositional styles along with classical sensibilities in this case from the likes of Bela Bartok and Igor Stravinsky. While avant-garde is the first thing that comes to mind when a Univers Zero or Art Zoyd connection is made, SOTOS were disciplined enough, despite creating only four monster tracks all clocking in over 13 minutes, to encapsulate a roller coaster ride of interesting hooks that are allowed to play out and add the proper amount of tension before climaxing and shifting to another complex instrumental arrangement. While the near 22 minute opener "Tango" may have elements of Argentina's favorite dance music, it's only a small part of the overall sound and fairly obscured with a healthy dose of violin and cello sounding more like a classical folk composition taken from the Hungarian countryside of the 19th century but also offers the angular rhythmic rock approach of the avant-prog tradition with a healthy dose of twists and turns that allow more energetic percussive segments than usually heard in this subgenre of prog. The second track "Gilgamesh" sounds as epic as the Akkadian poem from which the name derives. It begins with a rather Steve Hillage "Fish Rising" type of guitar riff accompanied by folky violin but turns into a more energetic rocker and also displays a fair amount of energetic tribal drumming along the way. "XXVIIIeme Parallele" exudes a jazz guitar intro but is also quite classically inspired and then drowned out by a lamenting violin before spiraling off into a more upbeat parade of folk led flute and drums. As it ventures forward it sounds more like an early King Crimson type of eclectic jazz rock that becomes more progressive as time goes on with the angular rhythms becoming even more so and avant-guitar solos joining in with burst of bubbly zeuhl bass lines that climaxes with one of the most energetic outbursts on the entire album. "L'espoir Du Clan Des Huitres" at almost 17 minutes is the most frenetic track with insane echoey guitars, chugging zeuhl bass rhythms with less of the angular avant-rhythms but they do occur as it all slowly ratchets up into furious guitar frenzies. Like all the other tracks, there is plenty of time for it to breathe and take the time to build up the momentum. SOTOS is fairly unique sounding. Not as scary as Univers Zero or Art Zoyd. Not as heavy as Thinking Plague. More varied than bands like Nebelnest but not as ambitious as 5uu's. SOTOS utilizes just enough of several different elements to make it feel balanced with a lot of time paid to repetitive patterns that linger with subtleties joining in. Just a tad of rhythmic zeuhl alongside avant-garde angularities as well as the King Crimson proggy rock mixed with the Bartok classical folk elements. The music is definitely dense and complex but it is fairly easy to follow if the listener is actively engaged. Segments proceed in a logical manner and nothing really jumps out of the blue. Excellent music for those who love a more focused form of avant-prog that also offers a few twists and turns along the way. I am not familiar with their debut, but this album has grown on me over time although i dont listen very often to it. Here is dominating a blend of the more atonal, dark, strictly instrumental and experimental progrock - clearly influenced by King Crimson (Wetton/Bruford era), a bit of Univers Zero (use of cello), Present, their countrymen Arachnoid and some current Avant/RIO bands like for example Pochakaite Malko, Nebelnest etc. There are even hints of modern classical music and we can find here some Zeuhl traces too (especially in bass guitar rhythm patterns). So i really dont recommend it to melodic progrock or neoprog fans ;). As for the musicians, they are all very capable, especially technically great and dynamic drummer (clearly inspired by Bruford) and guitar player (no coincidence - clearly influenced by Fripp). Sound quality seems good, but not outstanding to me, the bass guitar and guitar in the mix could be sometimes more in the forefront. Drums sound especially good, they are really driving in some upbeat passages. Album is divided in two parts, first is a longer composition "Malstrom" consisting of 7 parts in 4-9 minutes range. They are varied enough to keep an advanced progrock fan interested, quiet passages are very often building good dose of ominuos tension and keeping up some impressive atmosphere. Bands approach is often nearly minimalistic, restricted in only rhythm instruments, guitar and one cello and violin. There are no keyboards and only very small amount of effects used. Last track "Wu" is 27 min. long epos, which is unfortunately a reason, why i wont give a 5 star rating here. This one is simply too long and especially in the first half there is too much of uninspired and boring noodling, which is a big drawback after the interesting "Malstrom". In the second half it keeps very interesting though, with some very intense playing and really big amount of dark and demonic atmosphere. It ends in calmer and more peaceful style. Overall great album for experimental and more openminded prog enthusiasts, with many strengths, impressive atmosphere and a bit of tedious passages. Still 4 stars. This is pretty close to 5 stars but as Pnoom has noted the final track keeps it from being a masterpiece. It's the first 13 minutes of that track that keep telling me not to give it 5 stars. Too much of too little if you know what i mean. I love that song from there on though. "Malstrom" is a 41 minute suite broken down into 7 parts. Part 1 opens with experimental vocal sounds that are quickly replaced by some excellent angular guitar. Drums come crashing in to create an awesome sound. This actually reminds me of ANEKDOTEN without the mellotron of course.The violin comes in at 3 minutes. It settles down somewhat a minute later with violin leading the way. Part 2 is mellow with violin to begin with. It becomes fuller a minute in then settles back quickly. It becomes very calm after 2 minutes. Some dissonant violin to end it though. Part 3 is led out of the gate by bass and odd-metered drumming. Cello joins in as this becomes a Jazz / Zeuhl flavoured passage. I like it. Part 4 features a cool guitar line as drums then violin come ripping in. Great sound after 2 minutes of angular guitar and drums. Violin becomes more prominant late. Part 5 gets dark and heavy before a minute.Then it slows right down only to build back up slowly. This is incredible ! Part 6 features these light intricate sounds without much else going on. Until a full sound comes in suddenly 1 1/2 minutes in. The drumming shines a minute later. A repetitve guitar line sounds cool. Violin and drums build 4 1/2 minutes in. Another incredible section. Part 7 features the metallophone in this pastoral closing passage. "Wu" is the over 27 minute closing track. As I mentioned the first 13 minutes are all about the atmosphere with no real melody until 6 1/2 minutes in when a mellow one appears. It's slow going though until the tempo starts to pick up before 13 minutes. Drums and violin lead the way to a powerful section after 16 minutes. This is where the guitar makes some glorious noise. It gets very intense 2 minutes later like it's going to blow,something has to give. Unbelieveable ! It starts to let up 21 minutes in and winds down until 2 minutes later it starts to come back to life again. I really feel this band has more in common with KOREKYOJIN, AMYGDALA and POCHAKAITE MALKO then UNIVERS ZERO and PRESENT, although they're all connected. Sotos is a French ensemble that published two albums. On the rock side they hold drums, bass and electric guitar. On the classical / acoustic side, there are violin and cello. No special sounds or effects here, it sounds very strait forward, but the few effects that does appear here and there, adds a lot to the final result. So this is a chamber rock by definition. As they claim, among their influences is the neo classicism (Such as "The Soldier's Tale" by Stravinsky). For my taste and experience, such influences could end up with an over 'dry' result. 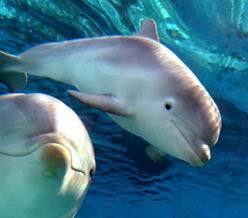 But Sotos manage very well to be more 'wet', full of life, dynamic and energetic. Very well musicianship here by all members, especially by drummer Michael Hazera. His drumming is furious without being bombastic, fresh and dynamic. He has got excellent timing and great ideas. 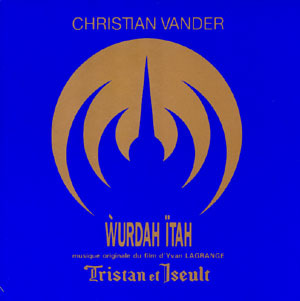 There are two compositions in this album, "Maelstrom" and "Wu". Due to credits, written by Bruno Camiade (bassist) and Yan Hazera (guitarist, Michael's brother) respectively, but both sounds like a band effort more than a one person composition. "Maelstrom" is divided to seven parts, each part flaws naturally into the next one. Parts 1-4 are short, dynamic and energetic pieces. In each part occasionally there is one main repetitive theme, and above it there are some improvisations, interplays, melodies that come and go, and other surprises, that makes it flow very well. 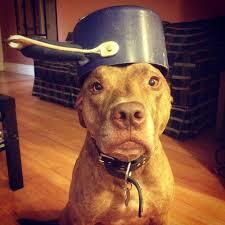 The following three parts are moodier, more sophisticated. Part 5 offers an interesting adaptation to the Dies Irae, a famous church motif that used in many classical compositions, such as the Fantastic Symphony by Berlioz, part five. However this adaptation is a little bit long and continues for my taste. Part 6 include nice reprise to the part one theme, up to the surprising, unexpected finale. Maelstrom could be finished at this point, but then comes the 7th part, a coda, sad, beautiful melody played by violin and xylophone, with silent guitar background. Good and rewarding composition. "Wu" - Well, that's another story. Here the main goal is to create a vague atmosphere and sound spaces. I must admit that occasionally this is not my regular taste. Plus it's long, almost 30 minuets. Near the end it becomes more interesting and coherent. I suppose that RIO/Post rock fans will find an interest here. Good and rewarding album, especially due to "Maelstrom". My rating to this effort - 3.5 stars. Chamber rock is fast becoming one of my favorite styles of progressive rock (most chamber bands can be found under the RIO/avant heading). This usually dark, often disturbing, and generally instrumental music has a unique effect on me as I listen to it. I can't describe exactly what it is I feel, but it's always there. I guess it's some combination of fear, gloom, and impending doom, given the nature of the music, but the point is that it is able to make me feel in the first place. That is one of the main things I look for in all music I listen to, and this particular style of music (as well as post-rock) has an uncanny knack for doing just that, and doing it with more power than I ever thought possible. Whether it's the dark and somber wastelands of Univers Zero, the eerily mind-probing needle of Art Zoyd, the instrumental social commentary of Henry Cow (Western Culture only), the happy, jazzy, almost mantra-like fun of Volapuk, it all is able to make me feel in unique ways. Sotos is no exception to this rule, as they too prove unique and interesting, and just as capable of making me feel as the masters of the 1970s and 1980s. Sotos has released only two albums, their eponymous debut and this, their sophomore and final effort. Thankfully, however, even though they disbanded, several of their ex-members got together and formed the equally good (by all accounts - I haven't yet heard them) band, Zaar. 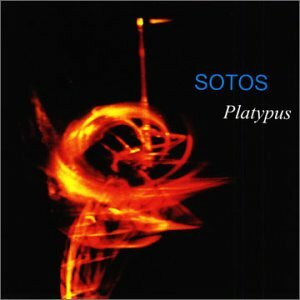 Platypus is generally regarded as the better of Sotos' two albums, and I'm quite sure that the people who think that are correct. I've heard their debut (I own it), but I don't know it well enough to comment, mainly because I've been listening to this album too much to make time for the other, but from what I have heard, Platypus is much better (not that the other is bad). It consists of only two songs (though one, Malstrom, is split into seven separate tracks), but contains more substance than many albums with well over that many songs. Both of them are amazing examples of the avant-garde that show just why I love chamber music (though technically called by the moniker 'chamber rock,' this music is often far from the boundaries of rock music, making it all the more interesting). Because there are only two songs, I will try and give you a feel of what both are like. Malstrom is quite possibly my favorite chamber song. It is a forty-minute odyssey through the depths of the dark. I have, I believe, read reviews stating that the song Staralfur (off the Sigur Ros album Agaetis Byrjun) is the song that will be playing at the gates of Heaven. If that's the case, I can only assume that Malstrom is the song that will be welcoming newcomers to Hell (though Wu would serve just as well). This song, though it is split up into seven parts, cannot be seen as multi-part. Each section flows into the next flawlessly, resulting in a great listening experience, and it really does feel like a single song. Each track does, however, serve a slightly different purpose in your voyage through the underworld, representing different climaxes of your trip. Part 1 serves as an introduction, dark and ominous, setting the stage for what's to come, but without actually exposing you to the horrors within. It's generally soft, with haunting violin work playing the most prominent role. Part 2 rolls right out of Part 1, picking up the action right from the outset and leading you on a roller coaster ride of darkness. The violin has somehow gotten even more haunting than before, and now the drums are starting to come to the forefront as well. When it climaxes (and you'll know it when it happens), it has more energy than most other chamber music I know, and is highly engaging. Part 3 keeps up that energy, moving into almost hard rock territory for a short time, but without losing the dark chamber mindset. Guitar and drums play the lead role here, but they are no less potent than the violin (string instruments tend to play a large role in chamber music). With Part 4, we are taken into even darker realms, beginning with the energy of Part 3 before descending even further into the depths (in a good way) into pure avant-garde strangeness. This part will probably be the hardest for most listeners, but it's just as good as the rest of it. Part 5 sees string instruments return to prominence as the dark nature of the music picks up. This is the longest section of the song, and, at times, the most normal, but still quite twisted at heart. Part 6 features some of the greatest string instrument work I know, simply pounding with unbridled energy. This is probably the climax of your journey, before your trip through the underworld ends. This song puts the 'rock' back in chamber 'rock,' but, even while it rocks, it never fails to hold true to the rest of the song (similar to Part 3, only better). And, finally, Part 7 concludes our journey, serving as an outro (much as Part 1 served as an intro), leading us calmly out of Hell's gates, having just had the experience of our lives. Had the album ended there, it would have earned a five star rating from me, no questions asked. The final track, however, while still great, suffers from many of the problems I superficially found on their debut album (in just my first listen, when I had not fully digested it), most prominent of which is a lack of focus. It, like Malstrom, goes through a variety of moods (all of them dark and somber), and should serve as an excellent chamber music piece, but somewhere along the line it fails. The ideas are not connected well enough, and thus, while all the ideas are good, they don't quite gel together. I certainly cannot fault the band for lacking inspiration, just for failing to live up to their potential (which they did in Malstrom). And yet, despite all I've said, I still love the song and can listen to it without getting bored at all. The ideas they have are absolutely top-notch, and when they do connect them, this song is perfect. When they don't, it suffers, as you would expect, but it still manages to hold itself up on its own two legs (or twenty-seven minutes, one of the two) quite well. In fact, the lack of focus problem is really only evident for the first six minutes or so, after which this is a - I hesitate to call it smooth - fully engaging ride, just as Malstrom was. If you like dark and ominous music, this album is for you, as the song Malstrom is better than anything Art Zoyd or Univers Zero ever did. Even Wu is worth owning, as it is better than much of the music I see these days, even if it isn't perfect. This album is essential for all fans of RIO/avant-prog, and even if you don't like the genre, this album could very well teach you to appreciate it (at the very least). One of the greatest albums I know, one you can't go wrong with. When I give a four star rating, it does not just mean that I like an album (that gets an album three stars), but, rather, it means that this album belongs in every progressive music collection. For me, four stars means that an album is a masterpiece at least on some level. While this would seem like my four star ratings should all be five stars, I reserve that rating for albums that truly are perfect in every sense of the word, which, for reasons I explained earlier, I cannot quite say about this album. Keep in mind, however, that this four star rating you see from me would, for many reviewers, translate to five stars. This is a band you must check out (along with, I would assume, their follow-up group, Zaar) if you like progressive music (which, given the fact that you're on this site reading this review, I assume you do). Well worth whatever it costs. Like many other recent chamber-prog bands, Platypus sounds like Present playing variations on King Crimson's "Larks' Tongues in Aspic, part 1". It's up to you to decide whether that's a good thing. Personally I enjoy this album and appreciate that it can be uneventful in all the right places. 3 and a half stars from me, rounded up to 4 to give the piece a little extra push.. The second and final album from Sotos saw them on a new label, Cuneiform, and with a new producer, the brilliant Bob Drake (5UUs). Platypus is a big improvement on their promising but patchy debut, at least partly due to Bob Drake's production skills. The King Crimson/Magma/Present/Univers Zero influences are still in evidence, but there is a sharper sense of focus and a more distinctive compositional voice to be heard here. The album is in two parts, beginning with the 41 minute, 7 part Malstrom. This piece could, and perhaps should, have been an album in its own right; in the good old days of vinyl it would have been about the right length for a single LP. Reviewers elsewhere have rightly pointed out that, while each of the 7 parts works well as a stand alone track, it's not immediately obvious how the pieces form a coherent whole. This is a minor quibble, however; while there may not be any great thematic unity, there is a consistent and compelling atmosphere throughout. The dynamics are much more effectively managed than on the debut album, with the acoustic/electric and quiet/loud contrasts being used to sometimes spectacular effect. There are also some electronic treatments of the instruments, but the effects are used sparingly and add to the generally brooding atmosphere. At times their influences become extremely obvious - in part 6 there is a passage which recalls Robert Fripp's one note solo on the studio version of Starless, used in a similar way to build tension - but they never fall into the trap of simply copying from the artists who inspire them. Having crafted an album's worth of dark, atmospheric, RIO-tinged chamber rock, Sotos felt the need to add another epic, this time a 27 minute epic called Wu. Rather like the 22 minute Tango which opened their debut album, it has plenty of atmosphere but rather too little content to justify its epic proportions. It's not particularly bad, but compared with the clarity and concision demostrated for most of Malstrom it's a rather vague, formless piece which outstays its welcome. There are some powerful moments, and Michael Hazera turns in possibly his best performance to date on drums, but the piece could probably have been edited to half its length and been far more effective for it. 4 stars for this album, mainly for Malstrom. Anybody who loved the 73-74 incarnation of King Crimson will find plenty to enjoy here, and for those disappointed that Sotos broke up after this, the brothers Hazera went on to form the excellent Zaar. This is the debut album from a French group which formed in the mid 1990s. They operate in a similar territory to Univers Zero, Art Zoyd and Present; dark chamber rock which uses orchestral instruments alongside a rock rhythm section and which exists somewhere between RIO and Zeuhl. There is also some resemblance to Godspeed You! Black Emperor and A Silver Mt Zion in the sound, although the compositional style is very different - there is a little too much rhythmic complexity for post rock. There are just four long pieces on the album, three of them composed by guitarist Yan Hazera and one by bassist Bruno Camiade. While they have a good grasp of dynamics and a real sense of adventure, the writing of these pieces often lacks the focus and sense of urgency that is found in albums by the RIO/Zeuhl bands which are their most obvious inspiration. The opening piece, Tango, is a 22 minute epic that could probably have been slimmed down into an effective 12 - 15 minutes, with lengthy passages that fail to develop in any significant way. This is a pity, because there is also some superb interplay between the strings and electric guitar, with intelligent support from a flexible and imaginative rhythm section. The next piece, Gilgamesh, is a big improvement on this, with an imaginative interlude on percussion featuring the guitarist and bassist on Djembe, an African drum, before leading into a violin-driven climax that briefly recalls King Crimson circa 1974. XXXVIIIeme Parallele is Bruno Camiade's contribution and includes some very nicely scored flute, percussion and cello parts, with Yan Hazera switching to acoustic guitar for the quieter interludes. The contrasting acoustic/electric, quiet/loud interludes could have been realised with a greater sense of drama, but this is a minor quibble and has more to do with the production than with the composition. L'espoir Du Clan Des Huntres closes the proceedings, and begins with one of the most uptempo passages on the album, Camiade briefly taking the lead on fuzz bass. This then settles into a similar style to the opening track, with a rhythm that owes more than a little to Magma's Kontarkohsz. As with the opening track, some sections are a little drawn out and repetitive, although again there is also some superb playing to be heard here. The track closes in a manner that recalls the end of Mekanik Destruktiw Kommandoh, inviting further Magma comparisons. Sotos is the work of a relatively young band - one member was only 16 when they formed, and apparently this was recorded only a year or so later - and shows a lot of promise. With a stronger willed producer and more disciplined writing, this would have deserved four stars and a strong recommendation. As it is, this is still a worthy addition to any RIO/vant prog collection. Somewhere between Magma and RIO Type music such as Ensemble Nimbus , this is long acoustic pieces that could also classified as zheul. As I traded this album with Chris/SYZYGY, in the early part of 2006, you should be reading a review of it sometime soon. This is not for repeated listening , at least not for these ears. Still good , though. According to the grapevine, they made a second album , but by the time of the trading of this album, the groups had stopped existing.